Hello there! We would like to first introduce ourselves. We are John and Jodel . We have been blessed to complete our family through adoption, TWICE! Adoption is a roller coaster ride but the best one you will ever experience. Hopefully our story can help you with your journey. 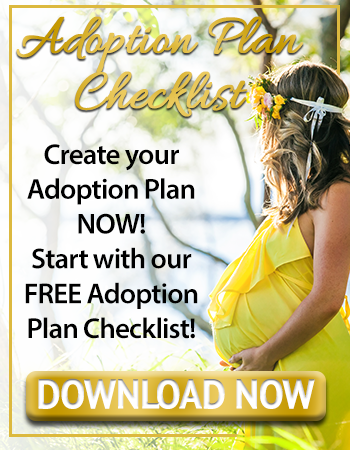 Adoption Choices of Colorado walks you through what to expect with the home study, education and Birth mom. It can all seem so scary getting your finger prints done and having someone evaluate every part of your life, but at the end of it you end up building an adoption support family through Adoption Choices of Colorado. Christy completed our home studies and post placements for both of our adoptions and we both can agree that she has become a part of our family. Once we met her we knew the process wouldn’t be as stressful as we thought. She was very friendly and easy to talk to. Once the home study and required education was complete we began the dreaded wait. Wait for a birth mom to make one of the hardest decisions of her life. During this time we kept busy. Getting the nursery ready and doing adoption fundraisers. We would jump with every call hoping it would be “the one”. We found ourselves over analyzing our profile. Should we change it? 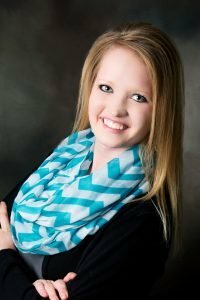 Get professional photos done? Brenda was helpful reminding us that the birth mom will love us for who we are inside and out and changing our profile is not going to speed things along. It was hard to grasp that our baby could be out there growing strong and our birth mom was still making her decision but we had to stay hopeful. Then the wait was over. We received a call that a birth mom had requested to meet with us. We couldn’t believe it! Could this be really happening? All though our hearts jumped out of our chest we still had to keep our guard up. Proceed with caution. This was on a Monday and we made plans to meet Saturday. On Wednesday morning we received a call that our birth mom had delivery a beautiful baby boy! One month early. This is where we needed our Adoption Choices family the most. Brenda immediately started working on some paperwork for us and Christy dropped everything to go to the hospital and arrange for our meeting with the birth mom. Christy prepped us before our meeting. Reminding us on decisions we have made to have a semi open adoption and to be ourselves. She was also our birth moms keys support person. Since this happened so fast tons of paperwork had to be filled out from the birth mom. Talk about overwhelming. Having given birth early, making a decision on a family and filling our tons of paperwork. Thankful Christy was there to walk her through all the steps once she made the decision to proceed. After the meeting we felt completely drained. On our way home Christy called and said our birth mom had officially chosen us! We would finally meet our sweet baby boy tomorrow. The next few days were filled with ups and downs. Having our son in the NICU and dealing with health problems and wondering if the birth mom would change her mind in the allowed days. During those days our birth mom was able to contact Christy day or night if needed for support. Paperwork was filed and our sons was finally well enough to go home. We did our post placement check ups with Christy as well. It was amazing to see all of everyone’s hard work pay off and have a precious baby with his forever family. Finalization day was another emotional day. The last six months you know this baby is part of your family but making the commitment in front of your family and friends and having the judge sentence you for a lifetime with your baby is a day that will never be forgotten. Our son is currently 15 months old and thriving in life. We are currently in our second adoption post placement check ups for our new baby girl. We don’t know what we would have done with out adoption choices of Colorado. They are amazing at their job and provided above and beyond their job expectations. They provided never ending information, counseling and hugs. We are truly grateful for them and look forward to their yearly picnics to catch up with other adoption families.